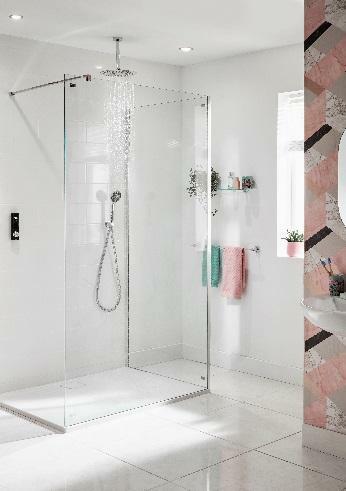 The Triton HOST™ Shower, RRP from €400 (mix and match accessories sold separately). Roomsets styled by Maxine Brady, We Love Home. 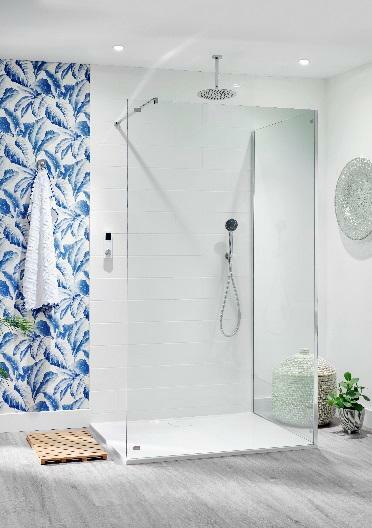 The Triton HOST™ digital mixer shower offers a stylish showering solution that not only looks good but puts you fully in control of your showering experience, meaning you can enjoy your perfect showering experience every time. HOST™ technology allows users to enjoy a personalised experience thanks to three customisable pre-sets. Each programme can be fine-tuned using 16 temperature and ten flow increments making this digital mixer suitable for the entire family. For those extra precious minutes in bed in the morning, you can choose to add on an optional start/stop control with warm up feature, which can be located outside the bathroom – even on a bedside table! The control panel offers the ultimate in sleek minimalist style and comes in black, white or cloud grey. Featuring a full text and colour TFT digital display, it’s easy to read and perfect for weary eyes on early mornings or at the end of long days. The HOST™ can be positioned anywhere within 10 metres of the mixer box, including in the centre of a tile or on the grout line, allowing you to choose what wall works best for you. Alternatively for those who prefer a cable, a 10m one is supplied. The Triton HOST™ is suitable for use with all hot water systems – there’s even a solution for homes with low water pressure where an extra boost is needed to increase water flow. Triton’s silent running pump technology reduces noise without compromising on pressure, so an early start or evening retreat won’t disturb the whole household. 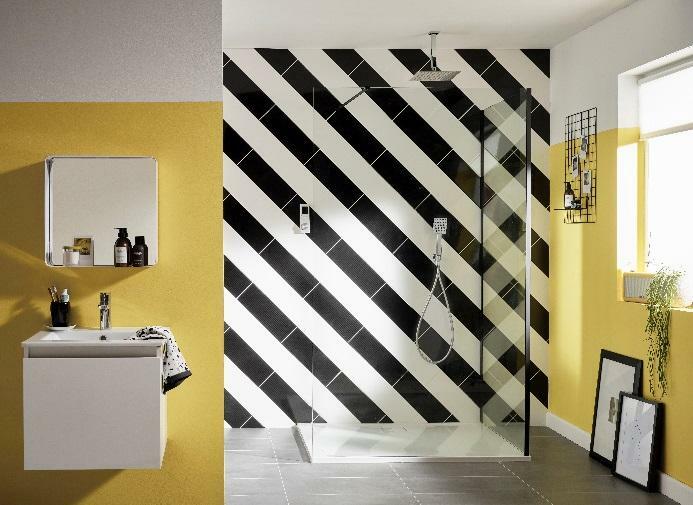 No matter what your choice of décor is, HOST™ can be matched with a choice of fixed showerheads, secondary handsets and holders to complement any bathroom scheme. 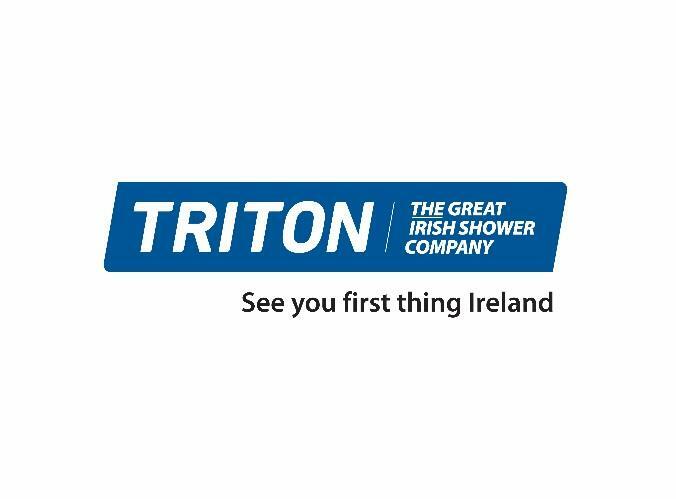 For simplicity, Triton also offers an all in one pack (RRP from €700) which brings together the most popular combinations.